Pretty Playtime Quilts is for all girls, big and little, who aren’t quite ready to grow up yet! This is It’s Sew Emma’s first book by Elea Lutz, popular fabric designer for Penny Rose Fabrics. 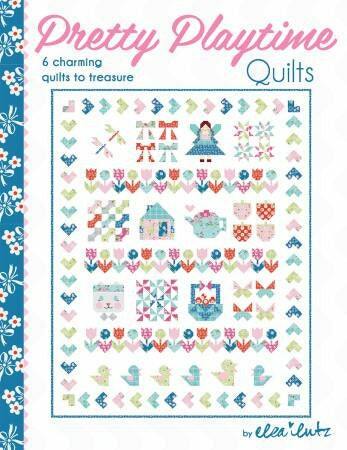 Featuring her upcoming collection Strawberry Biscuit, these six projects (including a tooth fairy pillow and a breathtaking sampler quilt) bubble over with charm, imagination and whimsy.